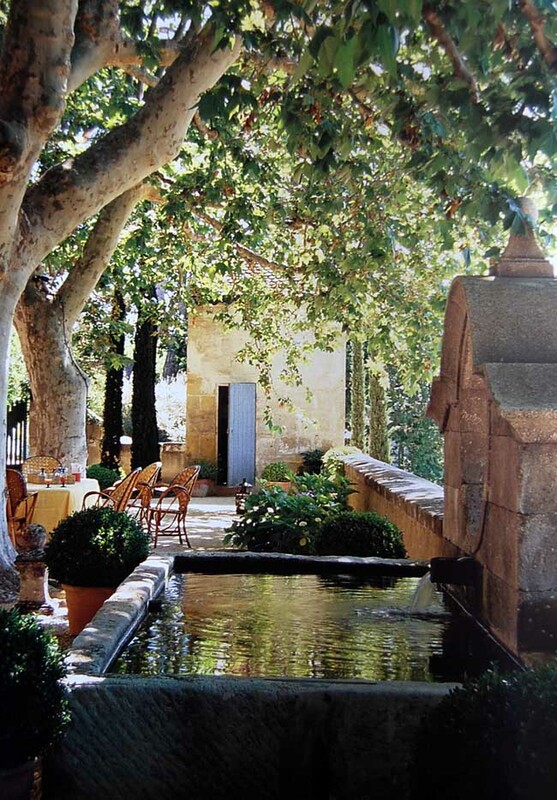 Provence style – an appreciation of fresh air and sun? My friend Miriam bought me a French living magazine called “le journal de la Maison” yesterday. And the first thing she saw me this morning on the way to our perfume class was greeting me with this lovely magazine. So so sweet of her. I gave her a big big hug and thank her for thinking about me after she read my blog. I could not help myself going through all the beautiful images in the magazine during the break. (As you can imagine, I can only count in French from 1-10, read a French magazine is very challenge for me, so I only go though all the images). There are so many nice images here, I could not scan from my hotel room all the images to show you here. Instead I used some of online images with sources and one image from myself. Today I will not limit myself to the interior styling regarding to the Provence style. It can be so many things. Why should we limit it. What is the Provence style actually, I think it is very difficult to describe, It is the combination from the history with the details of craftsmanship, the style which is rustic and sophisticated, it is traditional and elegant at the same time. The Provence style can apply to a cottages, villas, country houses and to the town houses. I did not get a chance to go into a local’s house, I can only give you more glimpse of views from the look of the building- Its charm is the sun drenched wall and its surroundings. When I walked down the hill and up to the hill every morning and evening to my perfume school, I could not help myself indulging in appreciating the Provence style with Daily Dose of Beauty. The beauty comes from its air, its color of the building, and its landscape. I used to live in Shanghai and spent my childhood in a little village in Yu Yao city. 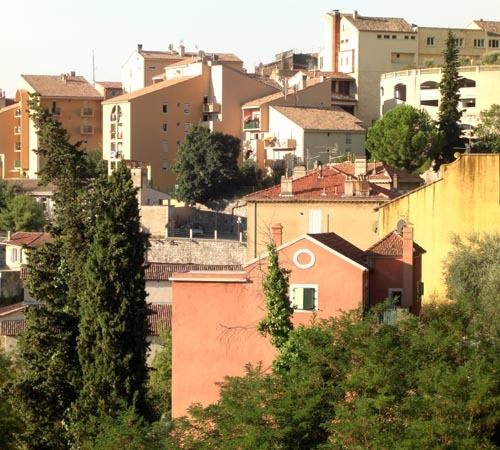 I can not imagine how exciting I was when I discovered the Provence area. The true beauty is so real. Its century old stone houses, the steep walking path to each house with the stones for the walls is faded by centuries of suns, they are so real. I feel like I turn the time back to hundred years ago when I walked pass all the houses near the hills. I will never forget my trips in the Provence. I can still recall so vividly each visit I made here. The old square in the middle of residential area where all the neighbors come together to get the best fish dishes in the town (we are the lucky ones where our friend Chris took us there in Antibes to sit with the locals), the pottery and glasses on the table that were made by the local craftsman, I just bought myself a nice antique crystal perfume bottle in Grasse, it was made by a local glassware artist. I hope in the near future, I can make some nice pictures to show you my antique bottle, one of a kind. 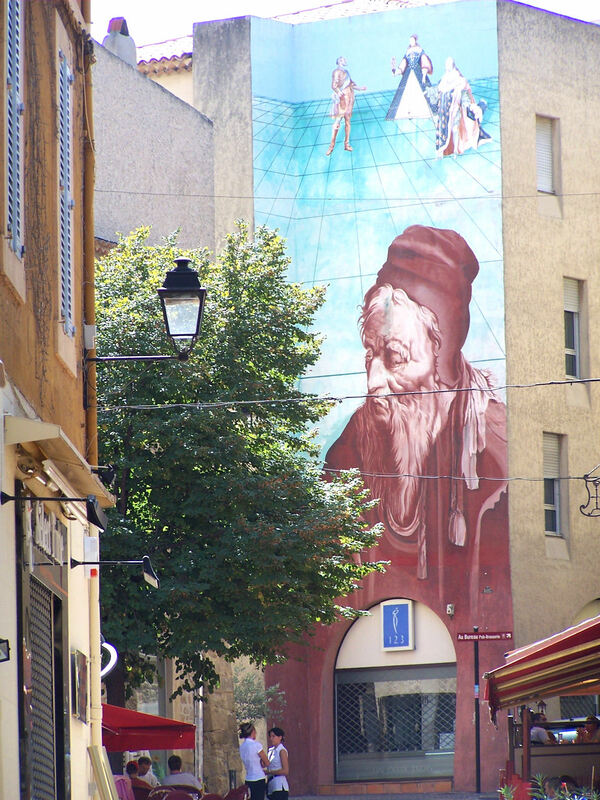 I am sure many of you had or have some wonderful experience in the Provence area. Let’s share some here. Show us some pictures, sentences, stories that inspired you when you think about the Provence style.